For over 60 years Emedco has been the leading manufacturer and distributor of workplace signage and identification products to maintain, safety and operational professionals who need to keep their people safe and operations compliant in a world of complex regulations. 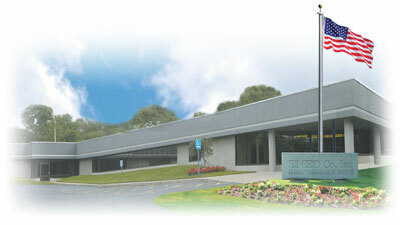 Emedco is a brand of Brady Corporation. Unlike other signage and identification manufacturers, Emedco provides custom safety & compliance solutions specifically designed for each unique situation. Our expertise lies in universal workplace safety issues like Lock Out Tag Out, Evacuation Safety, Working Surfaces Safety, Parking Safety, Asset Management, and Hazardous Enviroment Safety. We provide solutions built on a foundation of high-quality products, industry-leading resources and custom product design services. With over 200,000 products available, Emedco is sure to have what you or your company is looking for in signage and safety solutions. Our goal is 100% customer satisfaction and we are always here to answer any questions you may have or address any issues you are experiencing. Emedco truly is your one stop solution for all of your sign and identification products needs.